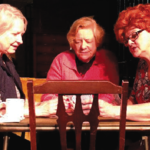 A lot of work goes into the production of a play, from the costumes and set design to the actors performing. Even the smallest details matter. 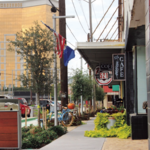 life has been brought to the downtown area of Bossier City. A variety of businesses have opened in the growing East Bank District within the last year. 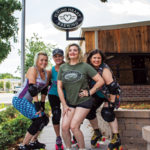 The area includes restaurants like Flying Heart Brewing & Pub, L’Italiano, BeauxJax Crafthouse and shops along with an East Bank Plaza for events. 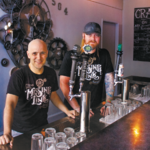 Cade Horn and Brady Crenshaw, friends since middle school, became business partners in 2013 when they established The Missing Link food truck. Last year they decided to embark on a new journey by opening up a brickand-mortar restaurant in downtown Shreveport. You know the saying, “It takes a village to raise a child.” For Camille Schmoutz, it took a village to make her passion project come to life. 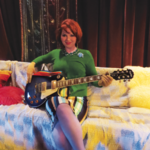 Now, this licensed cosmetologist is also the writer, producer and director of a completed short film titled “Gloria. Have you ever wanted to run with the bulls? Well, now is your chance to get a small taste of that experience at the Geaux Toro in the East Bank event on Saturday, July 7, from 6-10 p.m. hosted at Flying Heart Brewing & Pub. 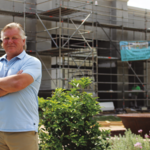 There is a lot on the to-do list for real estate developer Ricky Lennard as he works on a huge new project. If everything goes as planned, in about six weeks to two months, the South Highland Storage Center will have its grand opening. The center is located at 4019 Fern Ave.
hen the summer season rolls around, there is one fruit that grows in the hearts and minds of the people of Ruston. 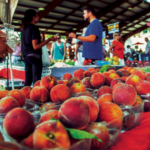 From peach cobbler to the local favorite peach ice cream, Ruston just can’t get enough of this sweet, handpicked treasure. That’s why every year they celebrate the Louisiana Peach Festival. Thirty-six days in New Orleans, 11 days across the Louisiana/Mississippi border close to Natchez, Miss., and 23 days at various locations in New Mexico including Albuquerque, Abiquiú and Chama – this is where Donna Chance-Hall’s last gig as a key set costumer for the movie “Logan” took her. Out of 4,000 alumni from Southern University Law Center (SULC), seven were chosen. 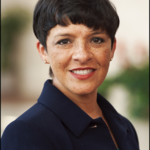 Liz Pierre, senior vice president of legal and research for North Louisiana Economic Partnership (NLEP), was one of those seven recipients to be honored as a distinguished alumna. There was never enough time. 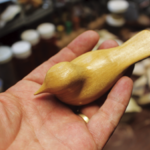 Years ago, Michael S. Gable remembers his father asking him to carve hummingbirds from wood with him in his workshop. It was his father’s new hobby after he found a hummingbird that someone else had carved in Artist Point, Ark.